Here at R.J. Riquier we try to find a balance between quality and cost to help fit our customers’ needs. Below are some partners/products that we can recommend. Exceptional performance along with superior quality parts is what sets us apart from the other guys. You can always depend on the reliability of American Standard Heating & Air Conditioning for a system built to deliver quality heating and cooling during your most precious moments. 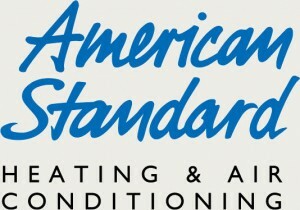 Since 1881, we’ve built our brand on the promise of comfort and long-lasting reliability for families everywhere with American Standard Heating & Air Conditioning. Based in Portland, Tennessee, Gastite has been a pioneer in fuel gas piping for more than twenty years and continues to set the standard in the industry with product innovations, superior technical support, and world class customer service. Begun as Crown Industries in 1949, Crown Boiler Co. got its start distributing heating product accessories such as oil burners, operating controls and cast iron radiation throughout the Northeastern United States. During the 1970’s, Crown began a period of rapid growth with the introduction of its residential cast iron boiler line. By the 1990’s Crown Boiler Co. had grown to be a national company, supplying high quality yet competitively priced Hydronic boilers through a network of regional wholesalers. Today, Crown has established a network of both independent regional wholesalers as well as being stocked by some of the largest national HVAC wholesale chains. Our marketing strategy remains constant: provide the finest in customer service, the highest quality products and the shortest lead times, while remaining highly competitive in today’s market. Generations of HVAC professionals have known and trusted Taco to design and build the most reliable products in the industry.Homeowners may never have heard of us, even though our pumps, controls and system components may be hard at work in their basements!Taco delivers exceptional quality because it has been owned and operated by the same family for over 80 years; a family whose dedication to its customers, products and employees has never wavered. Only Rinnai offers the quality and reliability that is built on a 45 year history of innovation and improvements. Rinnai commands quality through in-house design, engineering and manufacturing, and insures your satisfaction with in-house support.At Rinnai, we are fiercely committed to delivering nothing less than our absolute best. Our passion for constant improvement drives us to create incredibly innovative water heating and home heating gas appliances for both residential and commercial applications. As a result, our products have continued to lead the industry. In fact, sophisticated, efficient performance makes Rinnai Tankless Water Heaters some of the best tankless water heaters on the market. Noritz has been an innovator in the water heating industry for over 60 years. We introduced the first modern, electronically controlled tankless hot water heater in 1981 and we remain the leader in energy savings and superior hot water delivery today.Serving both homeowners & commercial users across the U.S. and Canada, Noritz America offers a broad range of tankless gas water heaters to meet the varying needs of its broad spectrum of customers. Since 1873, Burnham Corporation, and now, Burnham LLC, doing business under the name “Burnham Commercial”, has produced steam and hot water boilers for commercial and industrial applications. Located at 1239 Harrisburg Pike, in Lancaster, PA, Burnham Commercial’s facilities have gone through numerous expansions and changes, since its original construction in 1921. Today, the facilities continue to produce high quality products for its customers. Burnham Commercial offers a full line of scotch, firebox, and cast iron boilers ranging from light commercial to industrial sizes in order to meet its customers’ needs and is a leading manufacturer and marketer of high-quality boilers and control systems for commercial and industrial applications. For the past 30 years, Mitsubishi Electric Cooling & Heating (Mitsubishi Electric), a division of Mitsubishi Electric & Electronics USA, Inc., has enhanced people’s lives by improving comfort, conserving energy, and promoting environmental sustainability.Mitsubishi Electric is a leading marketer of variable refrigerant flow (VRF) zoning and split-zoning air-conditioning systems for both commercial and residential installations. VRF systems, which are highly efficient and can dramatically cut energy costs, are one of the fastest growing segments of the American air-conditioning and heating market.